I was doing some research on how to mine patterns from sequence data and I found a really good open sourced platform called SPMF. SPMF is an open-source data mining platform written in Java. It is distributed under the GPL v3 license. 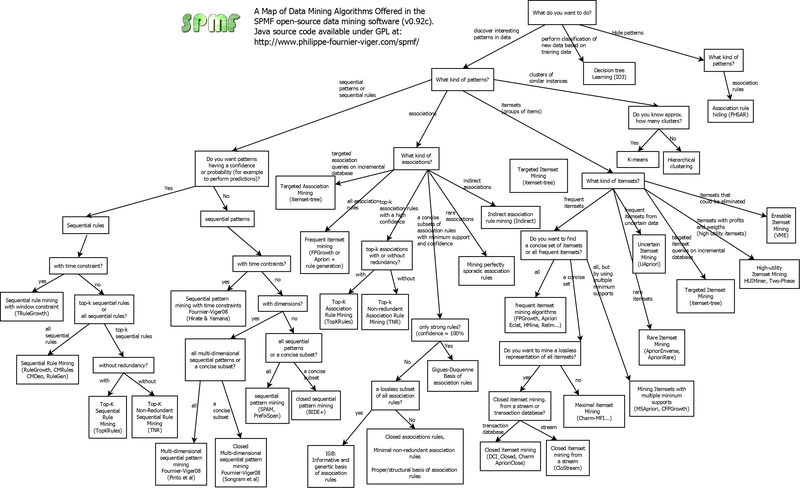 SPMF is an open-source data mining mining platform written in Java. It can be used as a standalone program with a user interface or from the command line. Moreover, the source code of each algorithm can be integrated in other Java software. 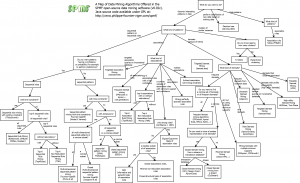 The following picture is a map which you can visualize the relationship between the various data mining algorithms offered in SPMF. the PrefixSpan algorithm for mining frequent sequential patterns from a sequence database (Pei et al., 2004).